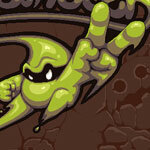 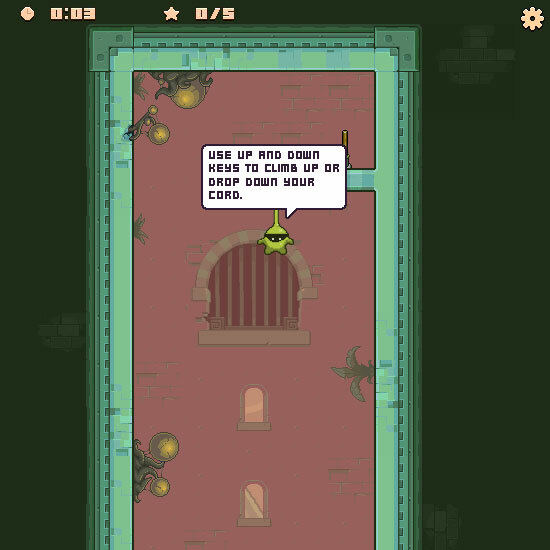 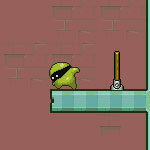 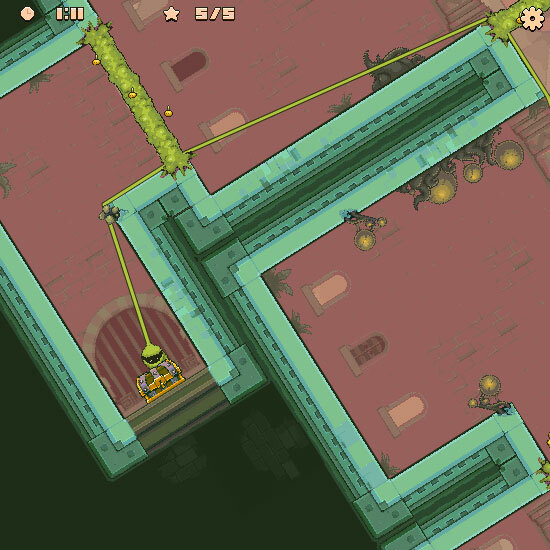 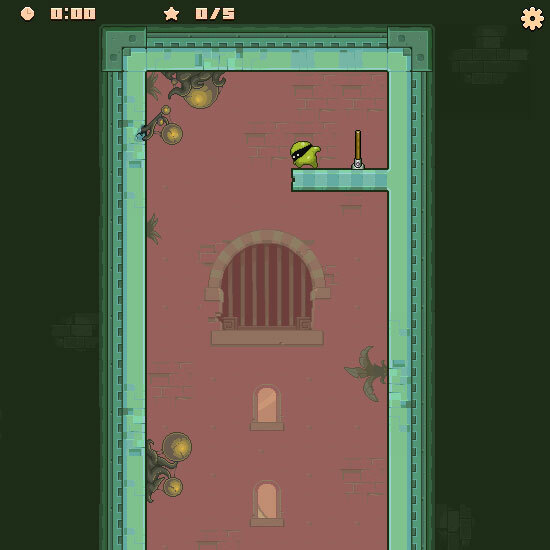 Take control of the epic green thief to steal the treasure chest at the end of each level, but you'll have to dangle your way through a maze of vicious enemies and unforgiving spikes to get there. 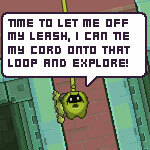 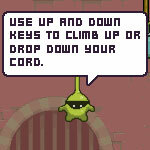 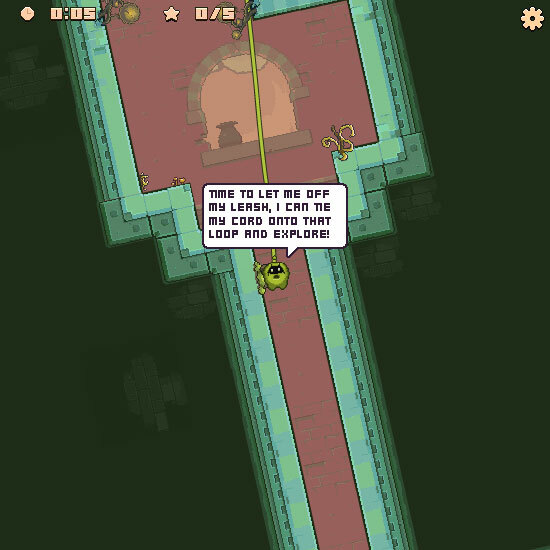 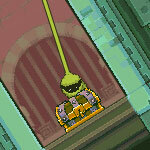 You can raise or lower Swindler on his cord with the UP and DOWN arrow keys. 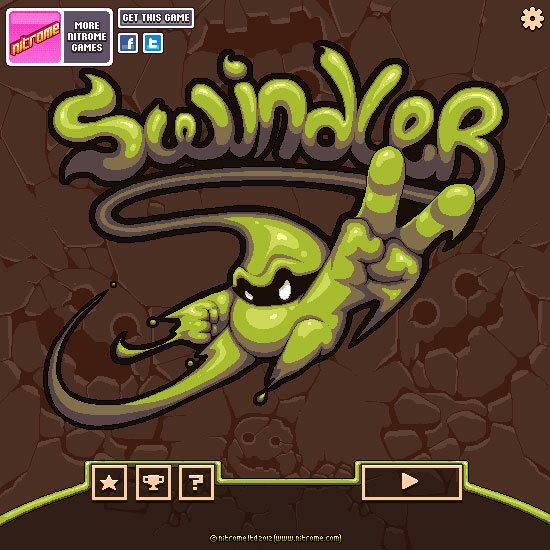 Swindler always dangles with gravity, so to go around a bend, you can use the LEFT and RIGHT array keys to rotate the world around your current position.